Once you upload a panorama to Tourbuzz, there are many features that will allow you to customize the viewing experience. To make these changes, head to your tour editor. Within the Images/Video tab, click the Edit link under the panorama. *Please note, if you are needing to make large changes to the Field of View (FOV), you'll need to re-upload the panorama and make these changes on the processing screen. 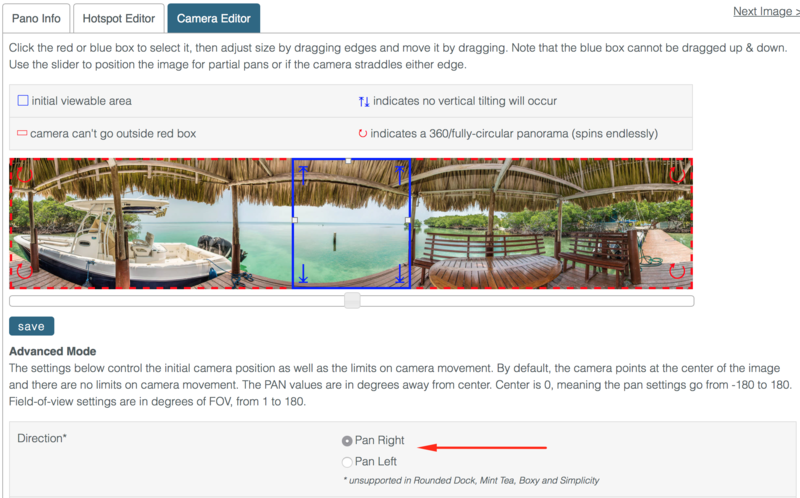 In both the Pano Info and the Camera Editor tab, you will have the option to choose which direction your panorama moves in; Pan Right or Pan Left. 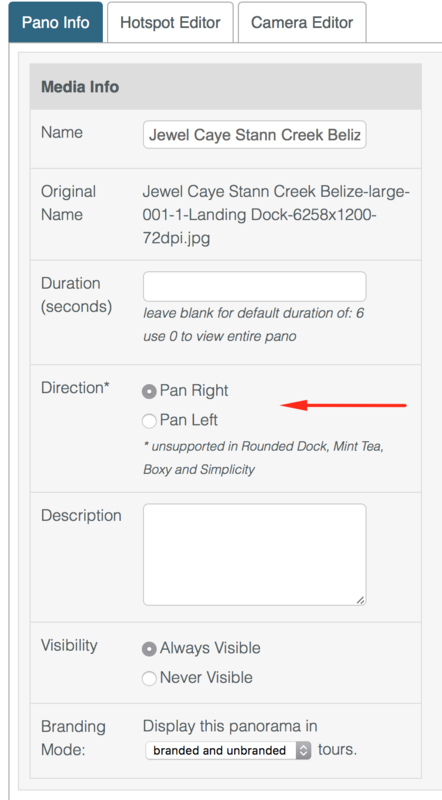 *All panorama directions will default to Pan Right. Click on the Camera Editor tab. Use the boxes to define where the panoramas starts and the viewing area of the tour.